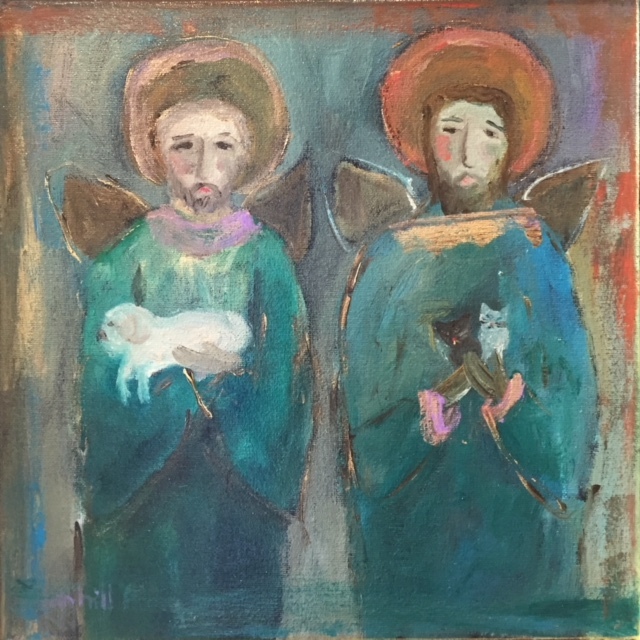 Jan Hill is a New Orleans artist whose paintings, photographs, and jewelry have been sought by collectors throughout the United States and Europe for more than thirty years. Her palette is reminiscent of two of her most admired painters, Edouard Vuillard and Pierre Bonnard. Her style incorporates the spiritual elements reflected in her daily life, while attempting to share her message of faith and hope. Her conviction is that saints and angels surround us acting as guardians and intercessors. Jan’s desire is that her work inspires, directs, and comforts, bringing a sense of peace, joy, and love in some way to anyone who needs it.